I headed down our street this morning to take some neighbourhood photos for the challenge hoping to find the scene I wanted on the path down to the river. The path is trampled snow and the bare branches hang a little overhead. 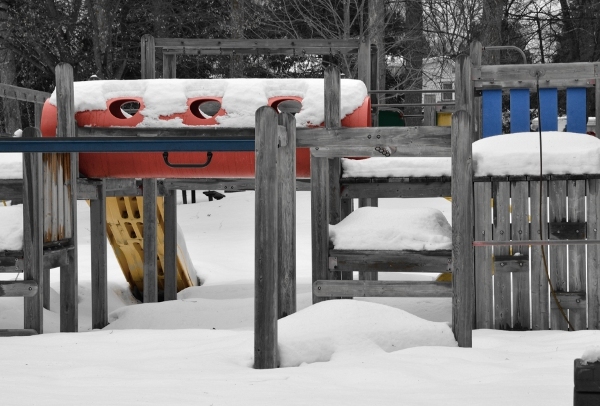 The day was very grey and my photos very dreary so on the walk back home I stopped for a minute to snap the more colourful snow bound playground. This entry was posted in Photography on March 3, 2012 by Heather.